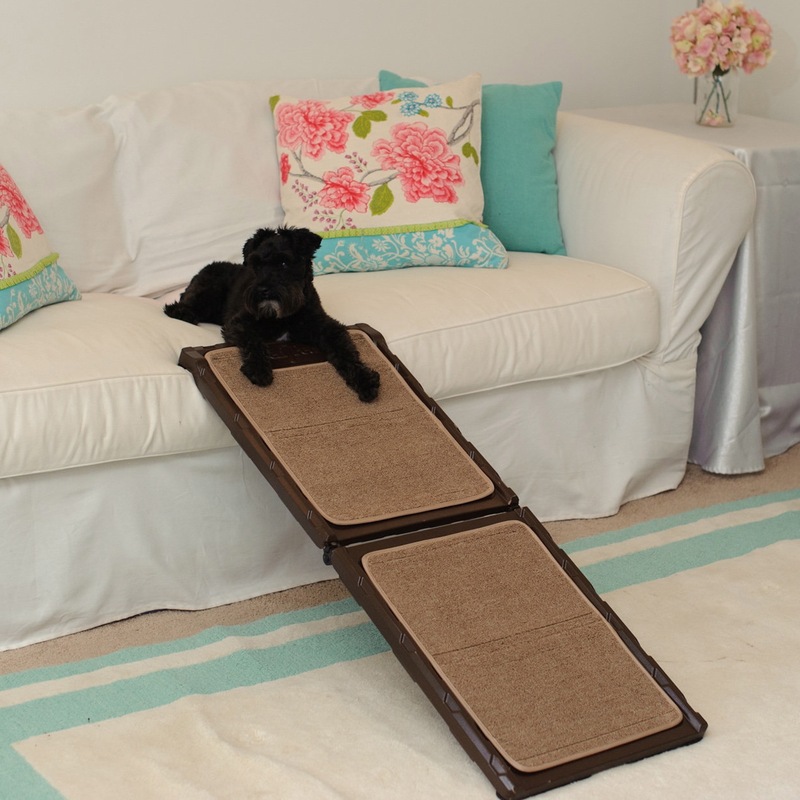 A carpeted Mini Dog Ramp for inside use is just the thing to ease the shock to doggie feet, legs and back. Easy to use and easy to store. 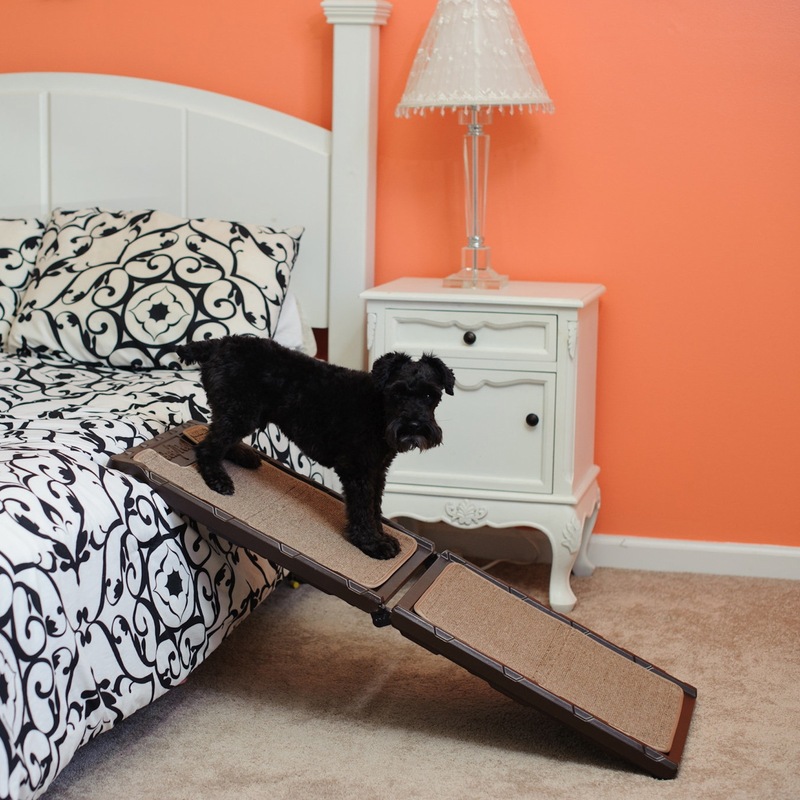 The Indoor-Carpet Mini Dog Ramp provides a safe way for your dog to get up and down from beds and furniture. 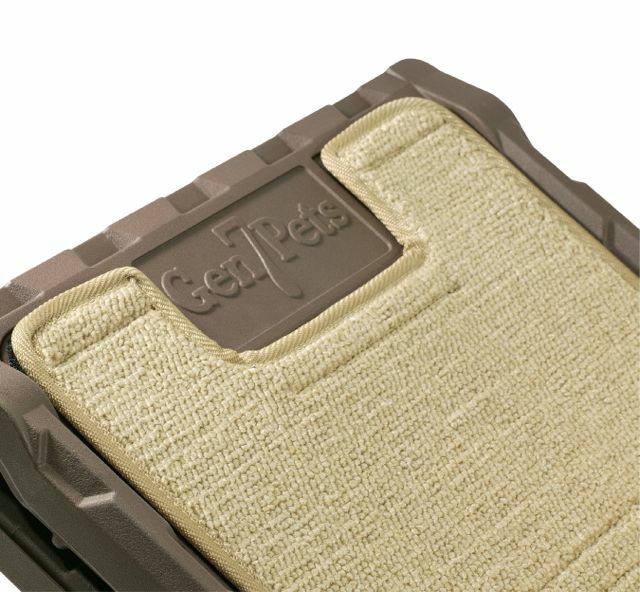 The carpeted pads help your dog feel secure while using the ramp. The soft surface that will not scratch its paw pads. 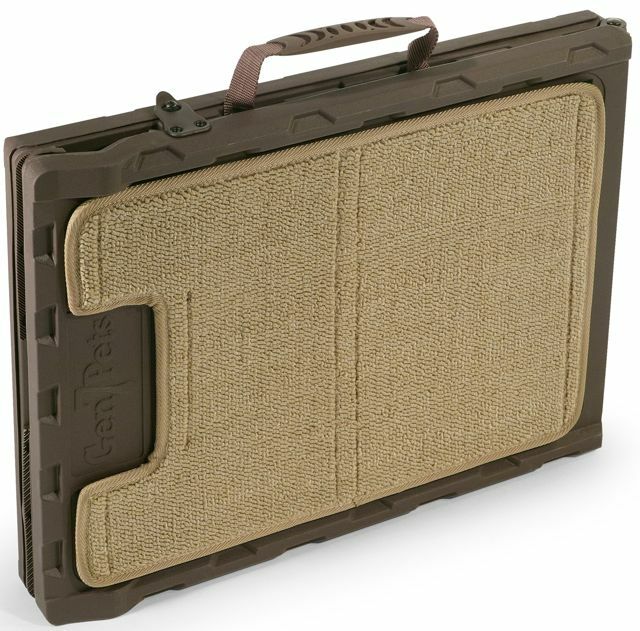 The lightweight ramp is easy to open to its 42” length and fold to 21”. 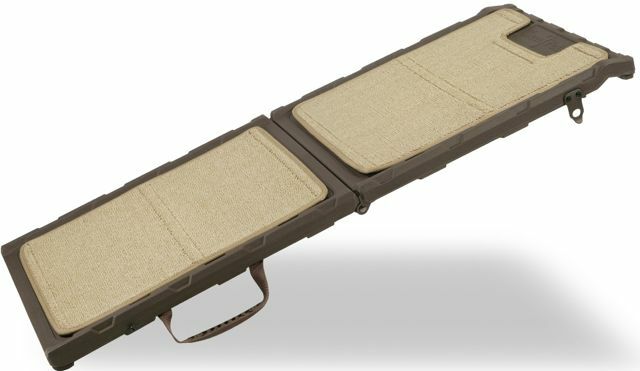 The Indoor-Carpet Mini Ramp conveniently stores under a bed or couch when not in use. Maximum weight 200 lbs. Not for human use. Open Dimensions 42” long x 16” wide x 1.5” thick. Folded Dimensions 21” long x 16” wide x 3” thick. Use the inside Mini Dog Ramp to improve your dog's quality of life. Order yours today!